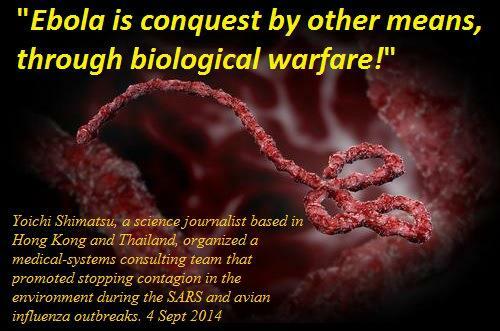 Ebola is a very real threat, be it natural or man-made. You cannot deny the number of people who have been killed by the virus, but everything that has transpired over the last few months seem very odd. From US biochemical research facilities near the outbreak site and sudden breakthroughs in the vaccine as soon as it hits US soil. Conveniently it’s only effective on people with white skin. Now there are growing fears the Ebola will become airborne, the United Nationshave expressed concern about this. Anthony Banbury, the Secretary General’s Special Representative said; “The longer it moves around in human hosts in the virulent melting pot that is West Africa, the more chances increase that it could mutate. “It is a nightmare scenario [that it could become airborne], and unlikely, but it can’t be ruled out,” He told The Telegraph. Ebola has currently infected more than 7,100 people leaving over 3,300 dead according to the World Health Organisation. 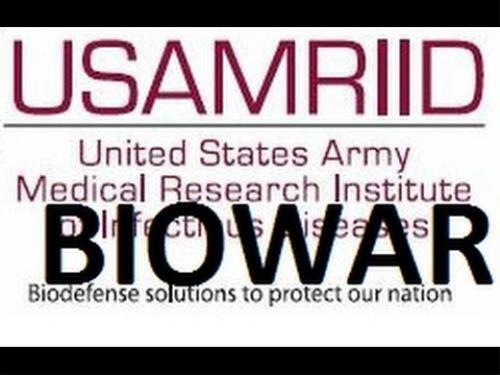 The only way the virus will loose momentum is if all infected people are put in quarantine. However it will take weeks if not months for the necessary containment facilities to be built. Five people are being infected every hour in Sierra Leone. The chief of the UN’s Ebola mission Antony Banbury said: “We have never seen anything like it. In a career working in these kinds of situations, wars, natural disasters – I have never seen anything as serious or dangerous or high risk as this one. I’ve heard other people saying this as well, senior figures who are not being alarmist. “Behind closed doors, they are saying they have never seen anything as bad. There is a limited window of opportunity. We need to hit it and we need to hit it hard. We haven’t done that but we are doing it now." 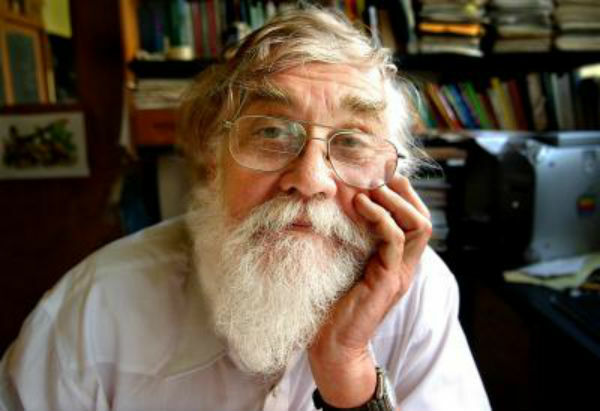 What is noteworthy is a statement by an award-winning Texas scientist who in 2006 advocated for the extermination of 90% of the Earth’s population using an airborne Ebola virus. During his acceptance speech at Academy of Science award ceremony, University of Texas professor Dr. Eric R. Pianka - now often nicknamed Dr. Doom - sparked controversy. John Ballantyre writes on News Weekly that renowned science writer and editor Forest M. Mim III was present at the event and reported there were a lot of strange occurrences in the bi-weekly journal Citizen Scientist. “Something curious occurred a minute before Pianka began speaking. An official of the Academy approached a video camera operator at the front of the auditorium and engaged him in animated conversation. The camera operator did not look pleased as he pointed the lens of the big camera to the ceiling and slowly walked away”, Mims reported. “This curious incident came to mind a few minutes later when Professor Pianka began his speech by explaining that the general public is not yet ready to hear what he was about to tell us”, he adds, “Pianka’s strange introduction and the TV camera incident raised a red flag in my mind”. Dr Pianka called Ebola "his preferred method of exterminating over five billion human being via airborne Ebola (Ebola Reston), because it is both highly lethal and kills its victims in days rather than years” and that AIDS is taking too long to kill off humans. “After praising the Ebola virus for its efficiency at killing, Pianka paused, leaned over the lectern, looked at us and carefully said, ‘We’ve got airborne 90 percent mortality in humans. Killing humans. Think about that”, recounts Mims. Scientific efficiency to say the least. This statement reminds me of other scientists recommending the use of Zyklon B for a similar human extermination process in the 1940s. But Mims pointed out flaw’s in Pianka’s logic as the haemorrhaging virus subjects the infected individual to a slow death by provoking organ failure.“Professor Pianka did not mention that Ebola victims die a slow and torturous death as the virus initiates a cascade of biological calamities inside the victim that eventually liquefy the internal organs”, he reported. Despite the positive reception from his audience, Pianka’s statements sparked controversy in mainstream press, reportedly led to him being questioned by the Federal Bureau of Investigation (FBI) for potentially instigating bioterrorism and also fearing for his and his daughters’ lives as he and other Texas Academy of Science members have received several death threats. The controversy has forced Pianka clear the air, appearing on cable television talk shows - however still stood by his notions. He said in an exclusive interview on MSNBC, "I don't hate people. I'm not any kind of homicide, my words have been twisted by fools. There are too many of us on this Earth, there are more people on Earth than it can support. We are an epidemic waiting to happen". See the full interview below. Pianka even released a statement on the University of Texas website, which read,“I do not bear any ill will toward people. However, I am convinced that the world, including all humanity, WOULD clearly be much better off without so many of us”, he wrote. “I have two grandchildren and I want them to inherit a stable Earth. But I fear for them. Humans have overpopulated the Earth and in the process have created an ideal nutritional substrate on which bacteria and viruses (microbes) will grow and prosper. We are behaving like bacteria growing on an agar plate, flourishing until natural limits are reached or until another microbe colonizes and takes over, using them as their resource”. “I believe it is only a matter of time until microbes once again assert control over our population, since we are unwilling to control it ourselves. This idea is nothing new… People just don’t want to hear it”. Yet with tens of thousands of illegals crossing the U.S. Southern border into Texas and California and little medical screening happening, is this the perfect storm for Professor Pianka’s “killing humans” Utopian dream? Time will tell. 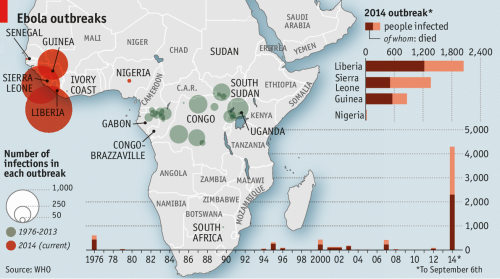 The pandemic Ebola crisis is taking up headlines globally. Kit Daniels reports, “Despite the fact that doctors in Africa cannot keep Ebola from spreading, United States officials brought an affected patient into the country only days after President Obama signed an executive order mandating the detention of Americans who show signs of ‘respiratory illness’. “The first known Ebola patient on U.S. soil, Dr. Kent Brantly, was flown into Emory University Hospital in Atlanta, Georgia, today after contracting the disease in Liberia during the latest outbreak in West Africa which has claimed the lives of over 700,” notes Daniels. The Centre for Disease Control (CDC) has revealed a Vaccine that works, the major catch; it only works on people with white skin. A statement released by the CDC says; “Early tests of the experimental drug, which would effectively combat the spread of Ebola, have proved successful only in those with white skin. We are working diligently to improve the sample to be able to help all those in need”. The reason for it will only work on white people. “The high levels of melanin (skin pigment) in coloured people somehow affect the medicine.” At least the US white population is safe. The American aid workers who were flown home after contracting the virus are now completely fine and Ebola free. The camps that have been erected in Africa are being referred to as ‘Death Camps’ as the locals who go there simply never return. Global Research controversially states that: “It is obvious from the context of these reports that Ebola victims’ relocation to these centres will not be voluntary. In other words, people who refuse to go will simply be arrested and made to go”. A recurring concept is that Ebola is man made, or at least this current strain has been modified in biochemical labs by the United States. In the Liberian Observer Dr. Cybil Broderick suggested that the virus is a GMO (genetically modified organism). As stated in a previous Neon Nettle article Broderick refers to the Dr. Leonard G. Horowitz’s 1997 book ‘Emerging Viruses: AIDS and Ebola: Nature, Accident or Intentional?’ in which Horowitz “confirmed the existence of an American military-medical-industry that conducts biological weapons tests under the guise of administering vaccinations to control diseases and improve the health of ‘black Africans overseas’. 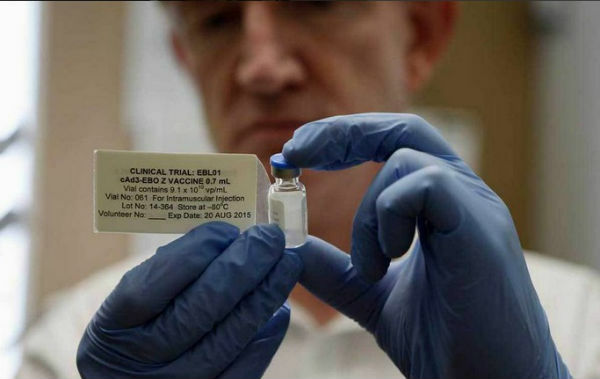 “WHO and several other UN agencies have been implicated in selecting and enticing African countries to participate in the testing events, promoting vaccinations, but pursuing various testing programmes”. None of this is conclusive but factoring in the American Biochemical facility at the centre of the African outbreak it is all incredibly suspicious.